The Pickup publishes one thousand bands! 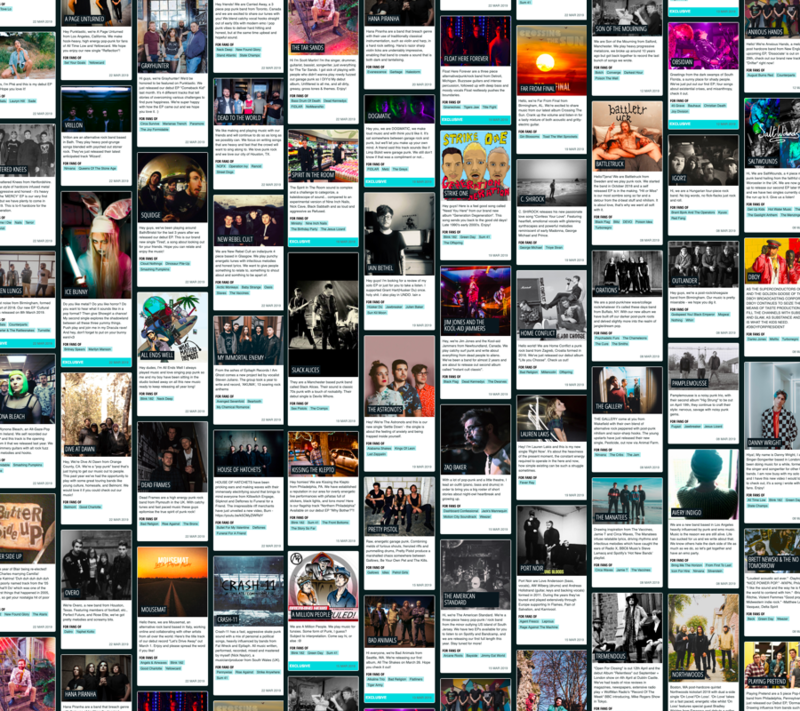 In January 2018, we launched The Pickup – a dedicated space for new music where new and established bands alike could send us their music and get the recognition they deserve, and where music fans like you and us could find our new favourite bands. If you haven’t seen it yet, well stop reading this and go have a look! What started as a few submissions a week has turned into half a dozen bands sending in their music to us every day, and that’s because there’s nowhere else online that’s giving new music a platform in this way. As a result, in just over a year, we’re super excited to say that we’ve just published our 1,000th band on The Pickup! It has become the first place many bands are choosing to premiere their debut singles and new music videos, and we’re delighted to be able to give these great artists a platform to share their art. Over the past year we’ve had a lot of fun chuckling at amazing band names, and we’ve gained a new appreciation for the weird and wonderful genre mashups that artists are coming up with – Industrial Nu-Melodycore, anyone? And while this started off with bands from the UK, it’s now reached way beyond that, and we’re now promoting bands from all around Europe, North and South America, even Japan! We’re hugely proud that we’ve created a space to give these new – often fantastic – bands the recognition they deserve and a place to pitch their music directly to fans. We love that it’s become a favourite spot for bands and music fans alike, for music lovers looking for something new to browse and find their new favourite artist, and likewise, for bands to pick up (ha ha) a loyal fanbase that can help propel them to greatness. As for the Punktastic team here, we’re huge fans, too – many of us have found tracks that we love, and with the huge variety of genres that are submitted, there really is something for all of us. So THANK YOU for supporting this platform for the past year and a bit, and for allowing us to share the music of a thousand bands that are just waiting to become the next biggest thing in our scene. Here’s to the next one thousand! Bands are welcome to send in your music to us here, and you can visit The Pickup today to find your new favourite band.